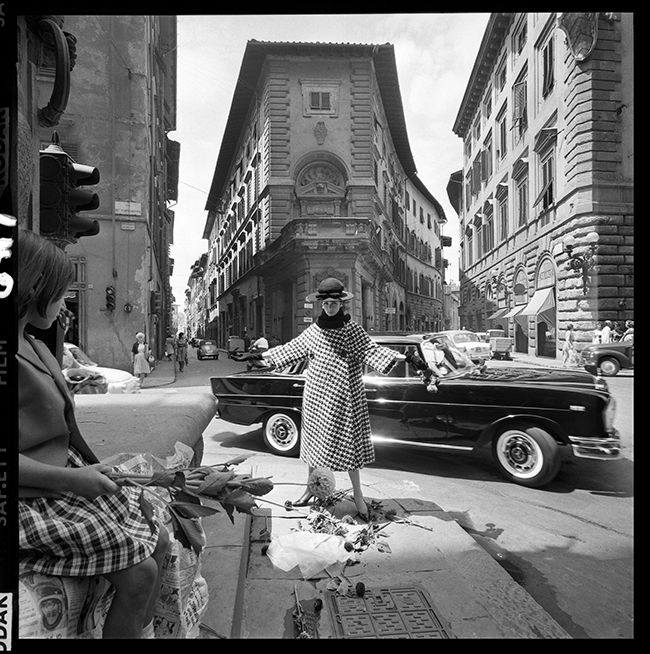 Duffy shot this image of the model with the Mercedes in Florence in 1961 for Vogue. Fifty years later there was a Duffy Solo show held at the Alinari Photo Museum just a stone’s throw away from this spot. Marie Lise Gres stands on the corner of Via Degli Strozzi in downtown Florence as a Mercedes Benz 190 drives past. The girl in the foreground is sat on the Palazzo Strozzi north wall. The session was featured in British Vogue in September 1961. Quote ref: E_607_01 if you require press information regarding this image.